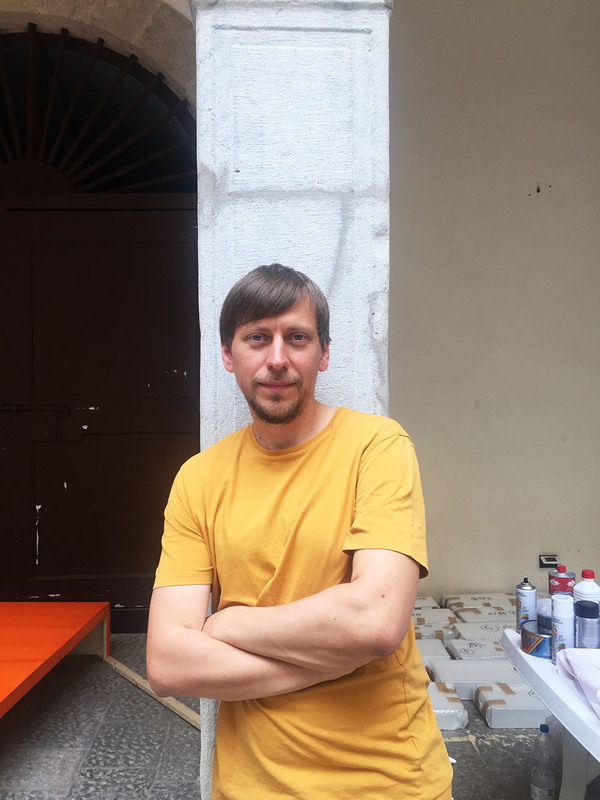 Krakow born and raised artist, Marcin Dudek, told me this during our meeting in a hot and cloudy morning in Palermo, while he was installing his work in the courtyard of Palazzo Mazzarino. 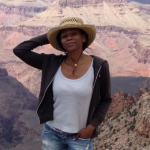 An experience that highlights the cyclic nature and the immortality of migrating that is shared by human beings from all walks of life. Dudek spent his youth as a senior member of KS Krakow hooligans, committing and being the victim of many acts of violence. He started going to games when he was very little and, by the age of 12, he started the process of working his way up the ranks of the team’s ultras. At 19, when the violence and savagery became too extreme, he decided to get away and go to Austria, leaving the brutality and poverty of Krakow behind and finding a haven in art. 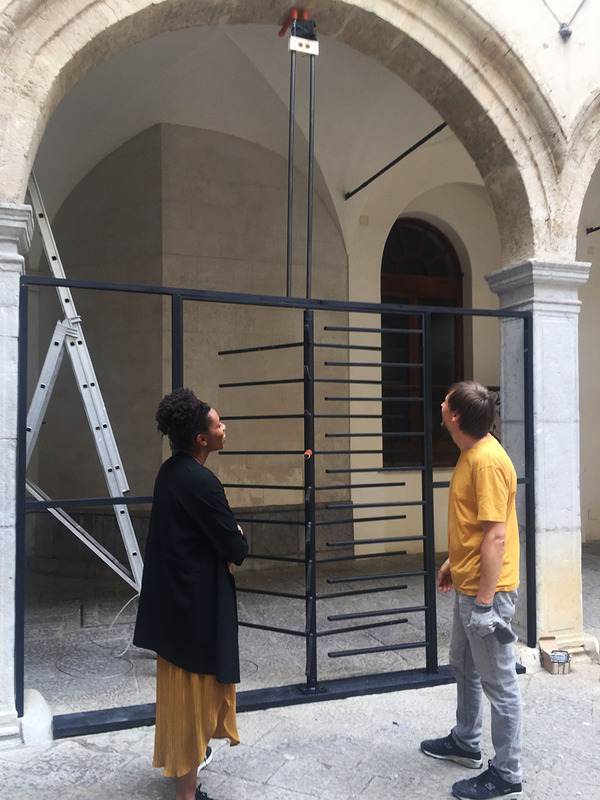 On the occasion of Manifesta Biennial, Marcin Dudek presents Giochi Senza Frontiere, a site-specific installation curated by Aloisia Leopardi (Edel Assanti Gallery) in the courtyard of Palazzo Mazzarino, addressing the notions of heritage, identity and narrative in the context of Palermo’s history. We are losing ground more and more, indeed. The mental barriers, even before the physical ones, are the main outposts erected by politics and transmitted to the masses to gain consensus and give an answer to the crisis of our contemporaneity; to oppose, block and stem the “invasion” of the poor, the last, the unwanted. Empathy seems to be the public enemy to attack, criminalize and annihilate; well-being (whose?) is the final goal. The enemy is the other, as it is deprived of its humanity. The central sculpture of Dudek’s installation takes the form of a monumental motorized steel turnstile, slowly rotated by a silent motor whose armature is covered with mirrored panels reflecting its surroundings. Each armature is different in length, corresponding to a statistical representation of the waves of migration to Palermo over hundreds of years. One of the routes of access into the courtyard requires visitors to pass through an actual turnstile (turnstiles had been previously featured in Dudek’s practice as symbols of mechanised crowd control). Individuals entering the turnstiles will trigger the release of steel ball bearings which will travel along a network of steel pipes installed along the top of the Palazzo’s arches heading towards the central rotating sculpture. 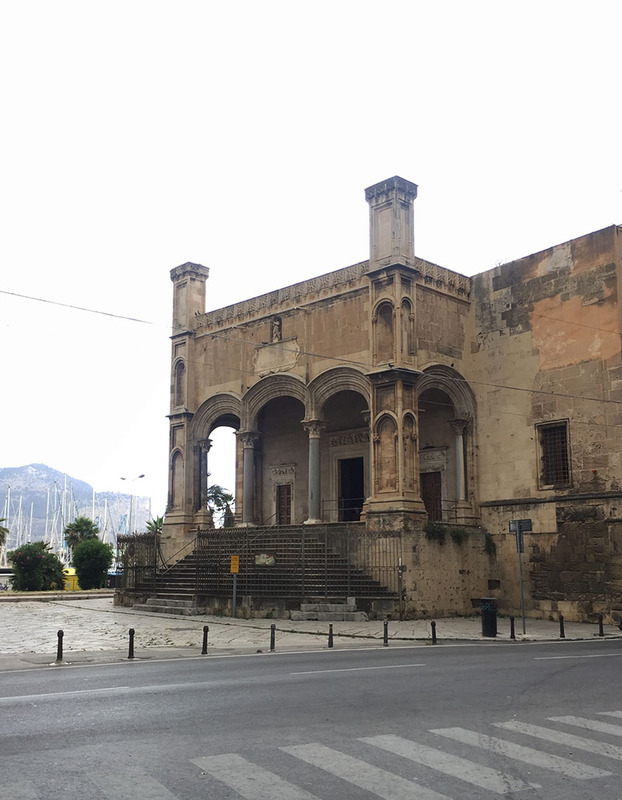 The pipes’ winding path mirrors the arcs of the two most important migratory routes—one ancient (the migration of German peoples in the V century) and the other contemporary (from Africa)—towards Palermo. As each ball bearing is released through the system, they terminate hitting the sculpture, fragmenting the mirrors upon impact. Over the course of the weeks, the sculpture undergoes a total modification and the cracks on the mirror become a testament of each new visitor’s arrival. Dudek’s reflection emphasises that every human passage left an indelible mark on the city, in some cases resulting in an enrichment and integration, while in others it led to the opposite outcome. The Giochi Senza Frontiere preview will take place on 15-16-17 June (from 11am to 7pm). You can alse visit the installation from June 17 to November 4 (Tuesday-Saturday / 3-7 pm) or make an appointment at Palazzo Mazzarino, via Maqueda 383, Palermo.